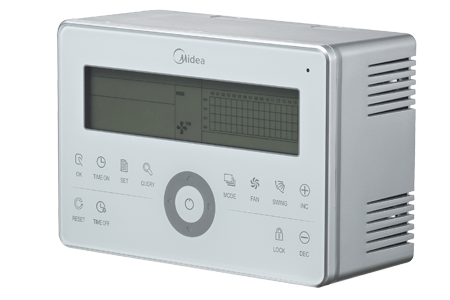 The centralized controller is a multifunctional device that can control up to 64 indoor units within a maximum connection length of 1,200m. 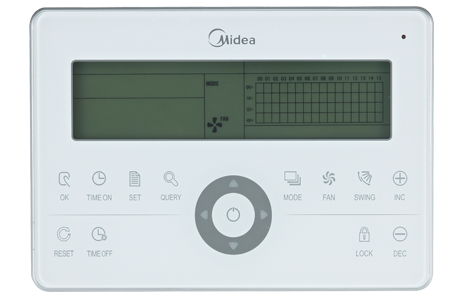 User can group control or single control and the set temperture of each unit can also different. 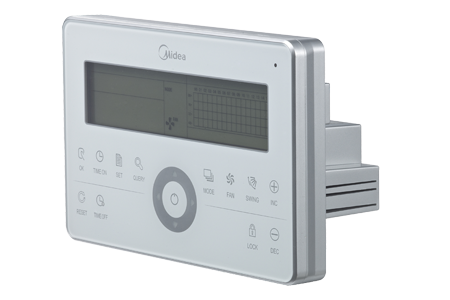 Centralized controller provides a superior way to manage indoor units. Users are able to select from locking the wireless controller, locking the running mode or locking the centralized controller's keyboard as required.